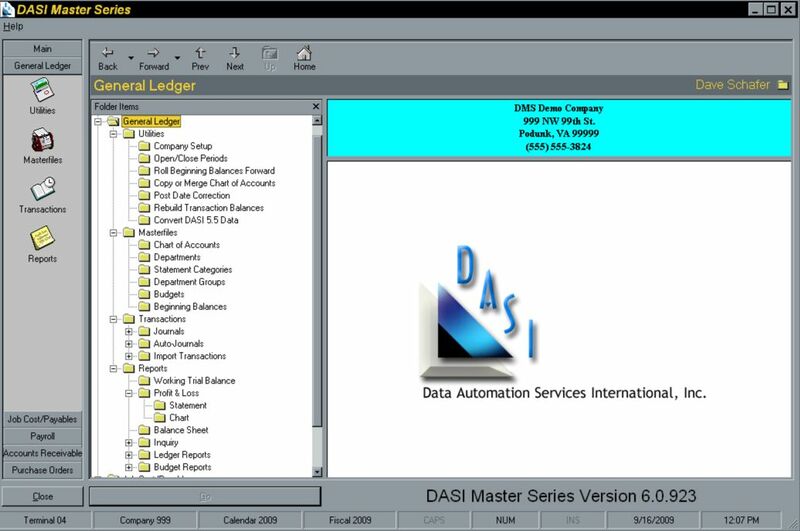 During the last few years, DASI has been working very hard to design, program and deliver a Windows version of our accounting system that has now been in the market place for 30 years. The process has been difficult and sometimes frustrating, but we have finally released all of the accounting modules of the system. On this page you will see several thumbnail (small) screen shots of the system. We encourage you to review of each of the screens for content and features. To see the screen in the full size format, just CLICK on the small image. Finally, after reviewing the information, when you are ready to proceed with the upgrade, please proceed to the order form page. This will provide all the necessary cost of the program and send a contact email to our sales department so they can make contact with you. 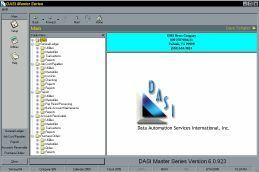 All information is kept confidential and is not provided to anyone other than the management and owners of DASI Software. Note: Not all screens are shown. This is the main system menu. When you launch Master Series from the desktop icon, this is the first navigation screen you see. 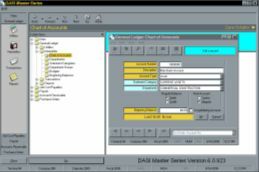 From here you will select which application program you want to run. 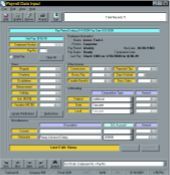 On this screen, you can change company accounts, terminal number, or go directly to any application you choose. 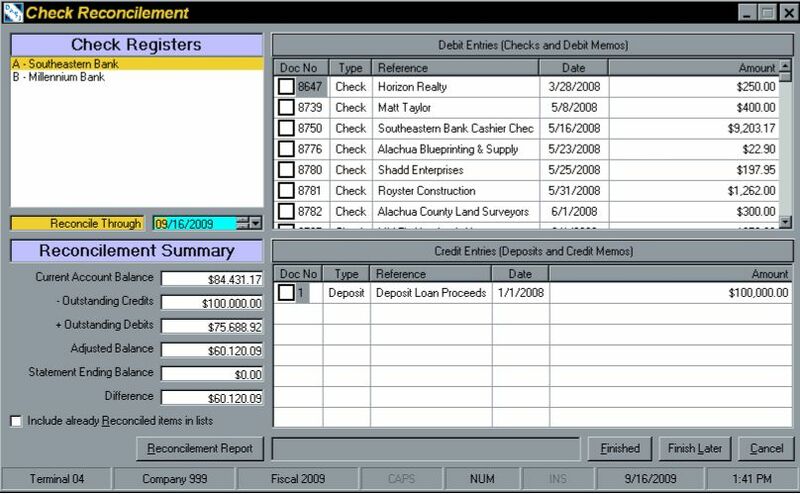 Note the Folder Items have now been expanded so that you can see all the selections available in the General Ledger. Pay special attention to the Utilities section. 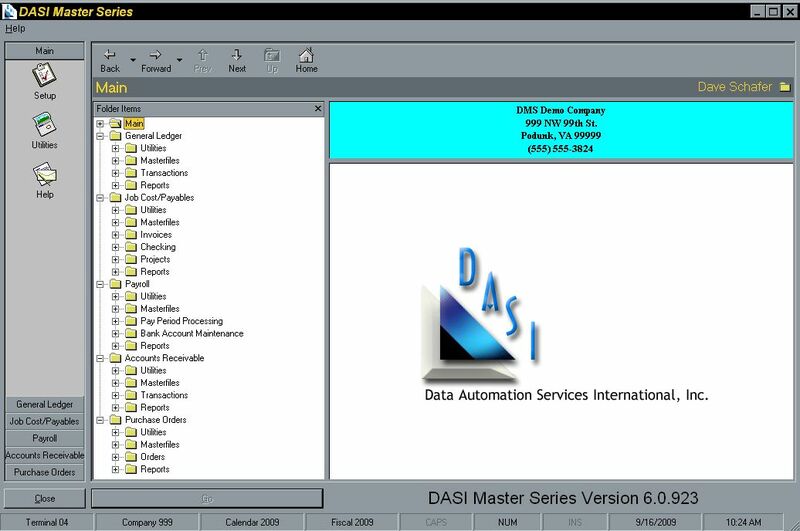 You will see, "Convert DASI 5.5 data." 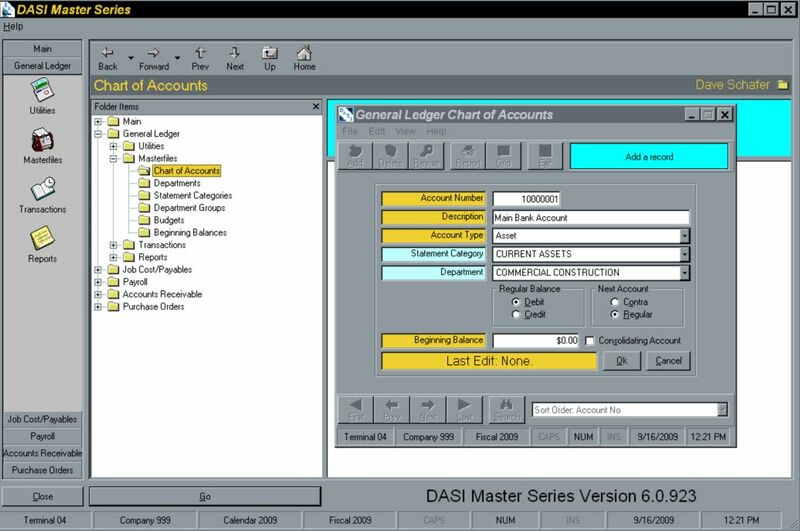 After installing the Master Series, you can simply click on this option and the program will convert all of your existing General Ledger information over to the new system without losing a single transaction. Your original G/L data in the DOS version will still be there if you need to go back and review information. 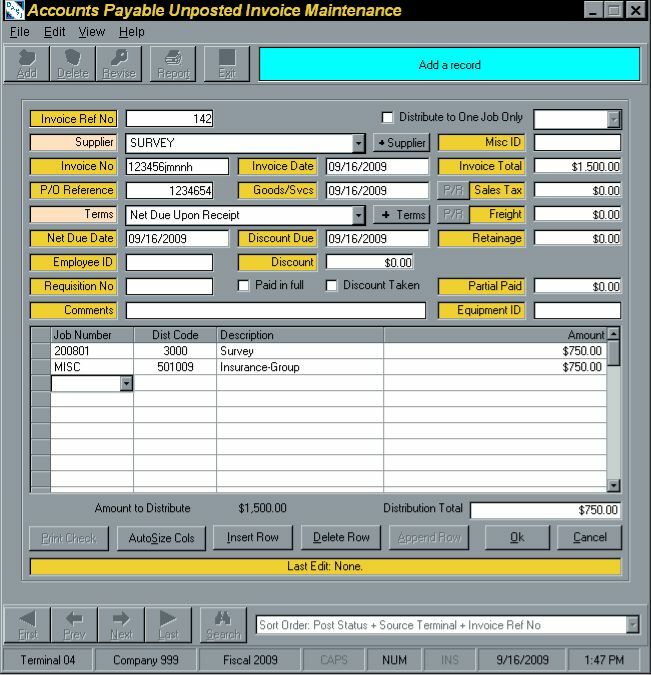 Note the Folder Items have now been expanded so that you can see all the selections available in the Job Cost/Accounts Payable. Pay special attention to the Utilities section. 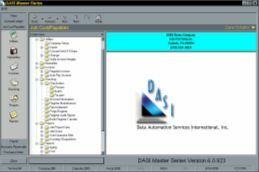 You will see, "Convert DASI 5.5 data." 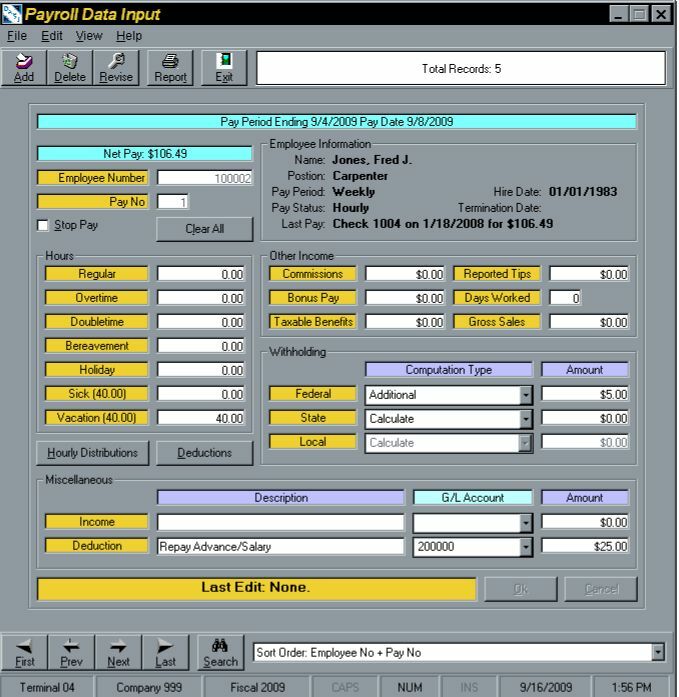 After installing the Master Series, you can simply click on this option and the program will convert all of your existing Job Cost & Accounts Payable information over to the new system without losing a single transaction. Your original J/C data in the DOS version will still be there if you need to go back and review information. 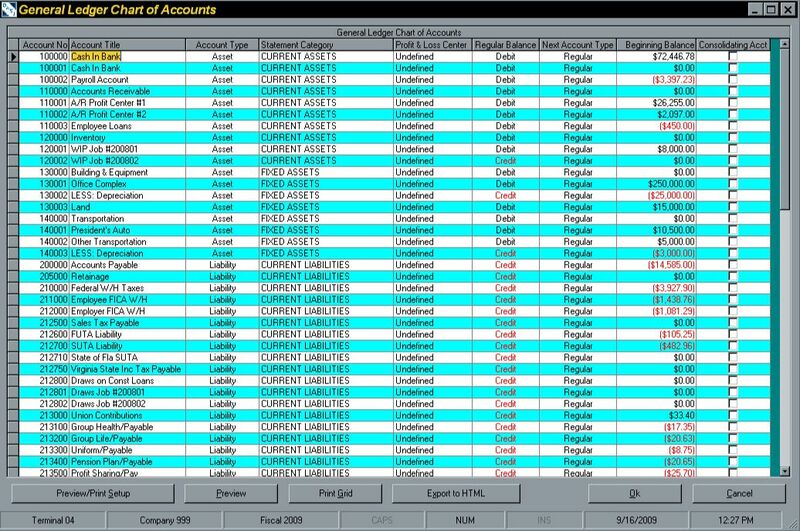 This is the Chart of Accounts screen. The new G/L now has an 8 digit account. This provides more flexibility when creating your chart. You can still define the sub-accounts as either a 2 digit or 3 digit number. (i.e. 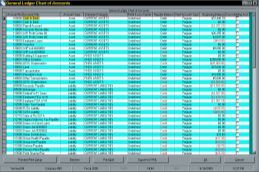 500000.01 or 50000.001) Sorting the chart has more options now when creating the chart report. The GRID! This is a new feature in G/L. It appears in several different locations through-out the program. You can change anything on the screen, except the account number. This is very handy when reviewing the chart after adding or changing the chart. This information can also be exported to an Excel Spreadsheet. This is a new feature in G/L posting. Note on the screen 3 posting sessions. You can now tank up as many posting sessions as you want, and then batch post them at the end of the day. 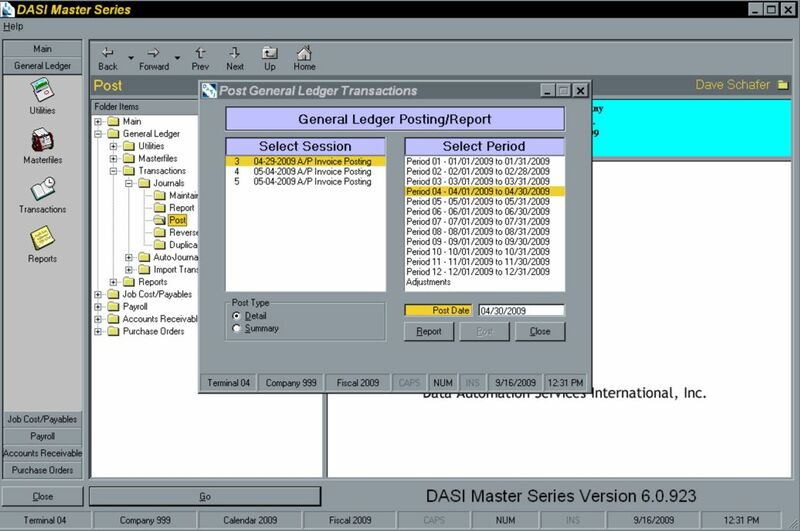 Unlike the DOS version which forces you to post each session real time, now you can post at the end of the day, the week, or the month. Provisions are now available for two (2) contact people, as well as, email addresses and FAX number. With the new reconcilement program, you're just a few clicks away when balancing your checkbook each month. 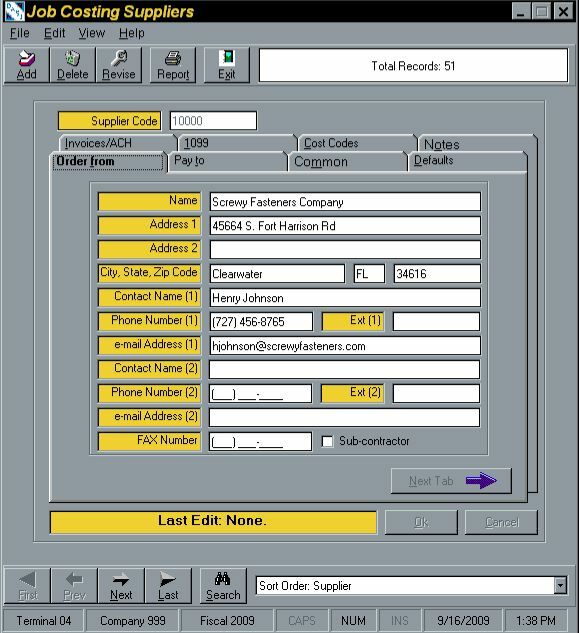 The new invoice input screen provides the ability to input all the basic information about the invoice on one screen. This includes term codes, sales tax and freight. On the distribution screen, which is just below, you will see a new and exciting feature. 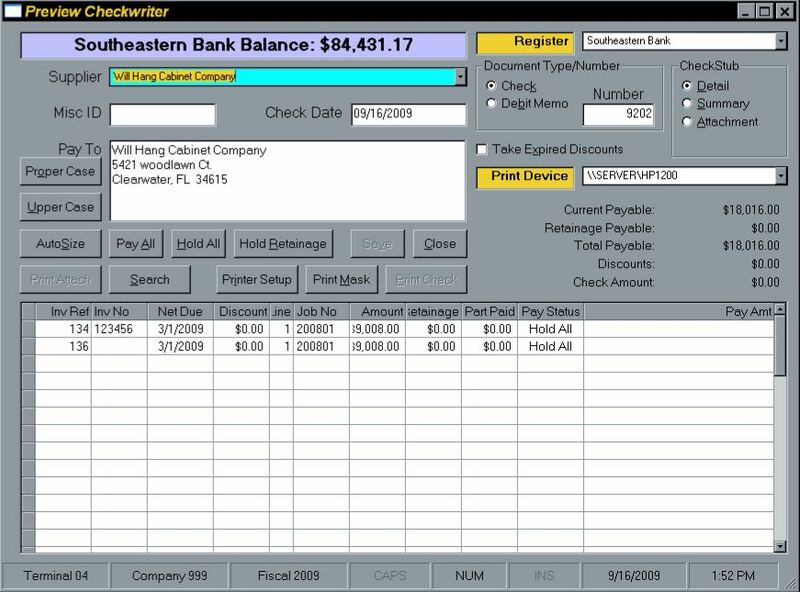 The new checkwriter is now easier and more intuitive in its design. You can select to pay all partial or retainage easily by using the pull down dialogue box, take expired discounts with the click of the mouse, or print specific or all checks at one time. 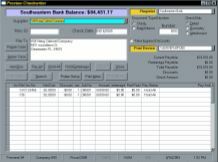 With this new screen format, you now enter all payroll information on one screen. Note when you enlarge this view the "Hourly Distribution" button and "Deduction" button. When clicked on, a new smaller opens to allow modification, additions or deletions. 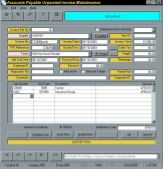 This saves time and since payroll maintains and saves all previous data, once deductions are established, no need to modify. These are just a few of the many new features of Hamelin Software's DASI Master Series for Windows. Please review the current investment cost and reserve page of this site if you are interested in ordering. © Copyright 2010, 2019 Hamelin Software, LLC. All Rights Reserved.